PALMDALE – Are you a Palmdale resident or business owner who is concerned about public safety in your community? If so, the Palmdale Sheriff Station’s Community Advisory Committee invites you to attend a town hall meeting this coming Monday. The town hall starts at 6 p.m., Monday, Sept. 9 at the Guidance Charter High School Campus in the Multi-Purpose Room, located at 37230 37th Street East in Palmdale. The Palmdale Sheriff Station Community Advisory Committee serves to strengthen the partnership between the community and the Palmdale Sheriff’s Station. The Committee advises the Sheriff’s Department on community concerns, crime trends, sheriff’s action and community engagement. (Read more about the Community Advisory Committee here). 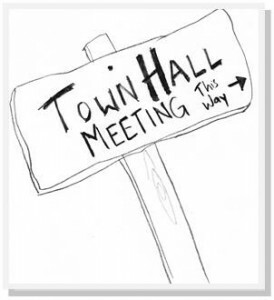 If you would like to hear more about this influential committee, meet the members, or have questions or concerns, you’re encouraged to attend the upcoming town hall meeting. For more information, contact Palmdale Community Relations deputy Jodi Wolfe at 661-272-2520 or email jewolfe@lasd.org.